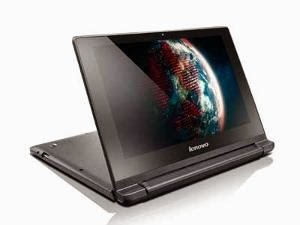 Personal computer maker Lenovo has launched the IdeaPad A10, priced at Rs 19,990. The IdeaPad A10 is an Android based dual-mode notebook that flips 300 degree. The device sports a 10.1-inch HD (1366 x 768p) screen with 10-point multi-touch. It is powered by an RK3188 Cortex-A9 quad-core processor clocked at 1.6GHz and 2GB RAM, along with an integrated graphics processor. It runs a customized version of Android 4.2 Jelly Bean. The IdeaPad A10 comes with a VGA webcam, and up to 32GB of SSD storage. The device sports a micro USB port, two USB 2.0 ports, a micro HDMI port, TF card reader and headset jack. The IdeaPad A10 claims to offer a battery backup of up to 10 hours on a single charge. The A10 weighs approximately 1 kg and enables users to instantly switch between two modes - laptop and stand. The device comes with a full size AccuType keyboard with individual round keys for comfortable and accurate typing. The IdeaPad A10 is currently available at all Lenovo exclusive stores, multi-brand outlets and big retail stores.